The Returned of Mr Samnang Chhon when words formed ! 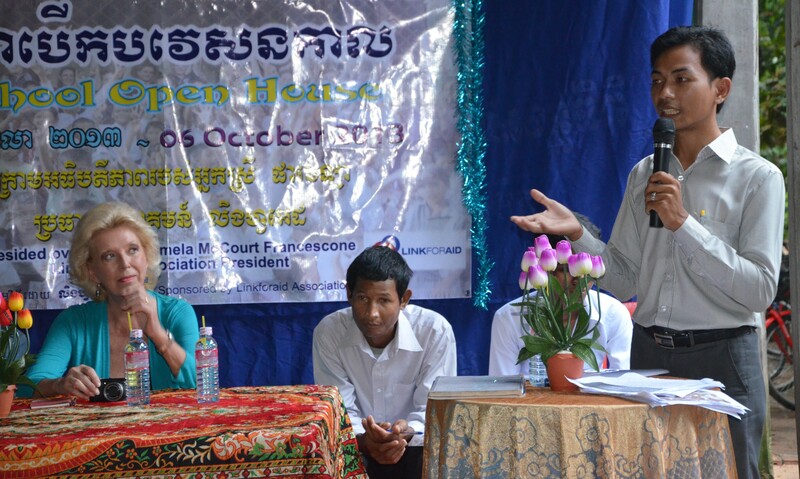 Samnang delivering speech during the Kids Sponsoring and School Opening Campaign 2013, funded by Linkforaid. “Just like a lightning moment, 6 years has already gone! We are not tired, but more interesting challenges are here to flight to overcome after quite a period of time to come already, Mr. Samnang Chhon, the AKC initiator from the village of Samroang where AKC is situating said. As of today, 09/09/2014, AKC would like to celebrate its founding anniversary with silent sound ! This representing the effort of saving and putting things in the right place with great concentration as we understand how hard people have made to make this passionate concept to a fabulous implementation. Stay tune and see the current ongoing projects, activities and accomplishment that we have succeeded ! Be blessed with all the very best wishes from AKC team in Siem Reap, Angkor !